Published May 27, 2011 at 1728 × 2304 in Art. This is a portrait of Evan Roberts using acrylic paint. In 1904 as a young Bible student Evan Roberts received the “Baptism of the Spirit” and as he responded in faith saying, ‘Bend me oh Lord’, the Lord used him as one of the key players in the Welsh Revival. This revival is reported to have seen 100,000 souls come to the saving knowledge of Jesus Christ in only 9 months, November 1904 to August of 1905. Feel free to read our online book on Evan Roberts or request a hard copy when it comes out for free. We pray that as you read, you will be inspired to live your life for Jesus faithfully too. 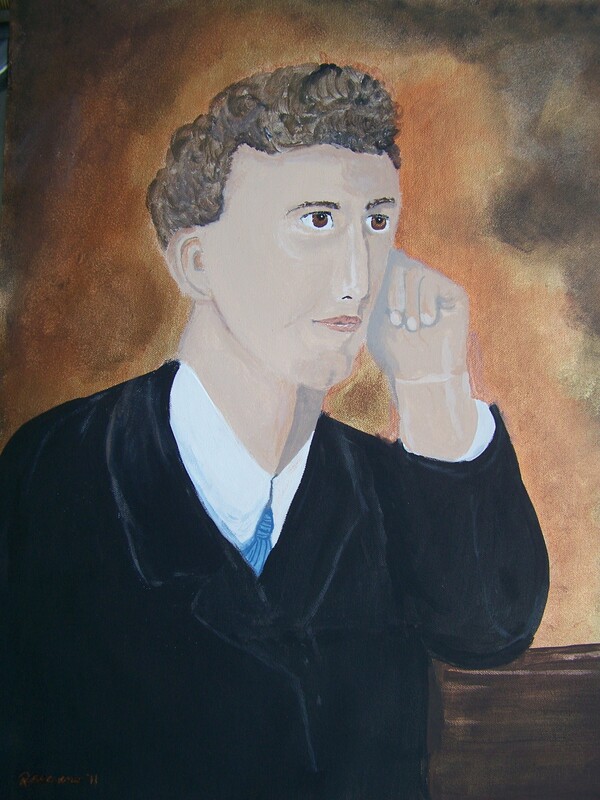 I was inspired to paint this piece of art by viewing the cover of the dvd “A Diary Of Revival”, copyright 1904 Ltd, distributed by Vision Video Box 540 Worchester, PA 19490.